Do you ever get a product and think it will completely change your make up game? After all the amazing things I heard about Lipcote from both friends and blog posts I finally gave in and began to try it out. I have issues with lipstick staying on mainly when I eat, but I find some of the more glossy finish lip colours wear off quicker than I would like and I hoped this would give them the long lasting boost I wish they had. The product is a clear liquid and comes in a glass bottle which is a little reminiscent of a clear nail polish, but is easily distinguished from them with the Lipcote logo and the water like consistency of the product. The liquid is clear and gives a see through coat to the lips. The brush is a good size and is really easy to work with and get the product on the lips easily and effectively with maximum coverage. When using Lipcote the instructions recommend applying the lip colour, blotting any excess and then applying a layer of the Lipcote over the lips and just outside the lip line in order to protect the edges on the colour too. I found it really easy to use and not a lot can go wrong when applying this as the product is clear which eliminates a lot of the pressure to be precise if you are in a rush. I felt like my lip colour was protected and lasted well when sealed, improving the transfer and wear on the products I find to be less long lasting. I feel like if you have a lot of issues with lip colour fading it may be worth giving this a go, as it is only £3.69 on Boots here, and that is cheaper than some lip colours! I do find this to be useful, but I find the chemical scent and feel when I apply this to my lips really does put me off using it and really makes me feel like it maybe isn't so great for you. I will use this because I have it, but for me the way ti feels and tastes when applied really are enough to put me off and deter me from using it. I am going to continue to be using this and really trying to get used to the product, so I will report back in a month or two to let you know how I got on with it and if I got more used to the feeling when it is applied. 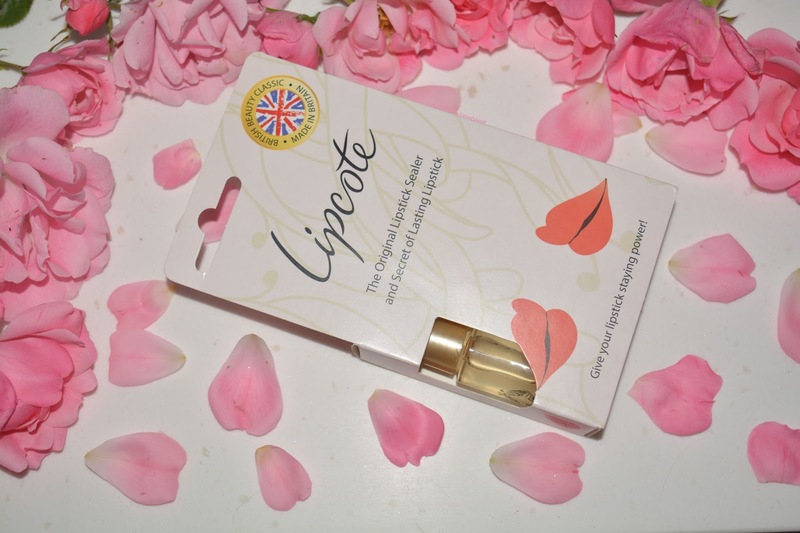 Have you used Lipcote before? Do you like it, or do you think it is a product you would buy?